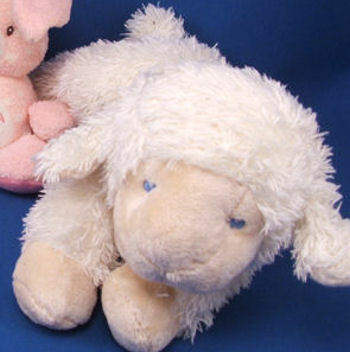 Hi Rosemary, Just wanted to let you know you can change my status to FOUND =) I have received the stuffed plush lamb in the mail that I bought on ebay, and it is exactly what I was looking for and exactly the same baby lamb we lost in Dominican Republic! She is going to be sooooo excited =) Thank you soo much for your help, this website is great! I am desperate to find a baby GANZ no. BG464 floppy chenille white lamb with velour face, hooves, ears, and tail. We lost my daughter’s baby lamb, her favorite baby, on vacation, and no one turned him in.